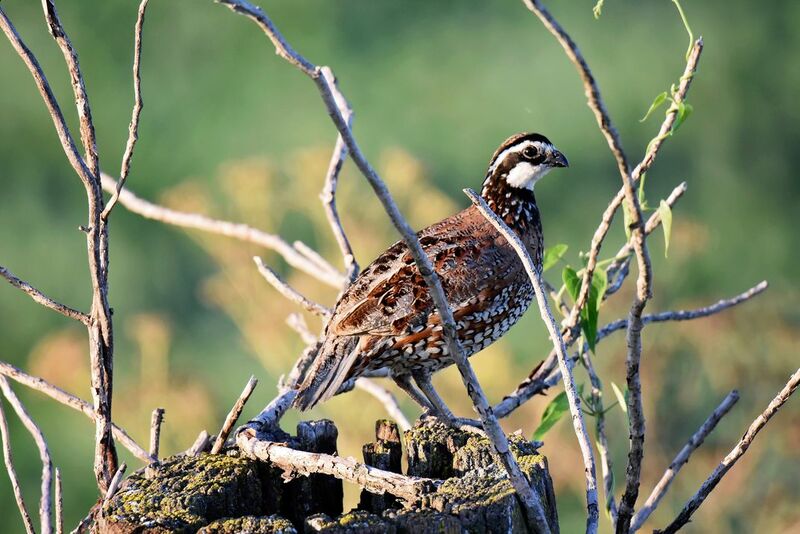 A quail resting on a fence post in Missouri. After driving around our rural neighborhood, we discovered a quail who was perched on a fence post- right next to a railroad track! It was quite comfortable letting me take photos of it and never flew off, even when we drove away. Date Uploaded: Aug. 13, 2018, 6:01 p.m.